Our guided mediation classes offer a safe and sacred space for the spiritual seeker to connect with the divine within. The instructor uses mindfulness and other awareness and relaxation techniques to guide the mind of the group into a single-pointed center within. Gradually, participants find themselves entering an inner space of deep stillness and peace as the mind is guided into the brain frequency associated with meditation and higher sensory perception. It is our hope that what you learn in session, you will also apply at home for your ongoing spiritual ascension. Classes are usually full so advance registration is required. Please sign up in advance to ensure your seat. Click here to learn more about how to prepare for class and proper Meditation Lounge etiquette. This is more than a guided meditation. This is a group energy healing and activation session that empowers you as the healer of your life. You are guided to visualize energy and imagery for the purpose of cleansing, clearing, and elevating your conscious state of awareness. 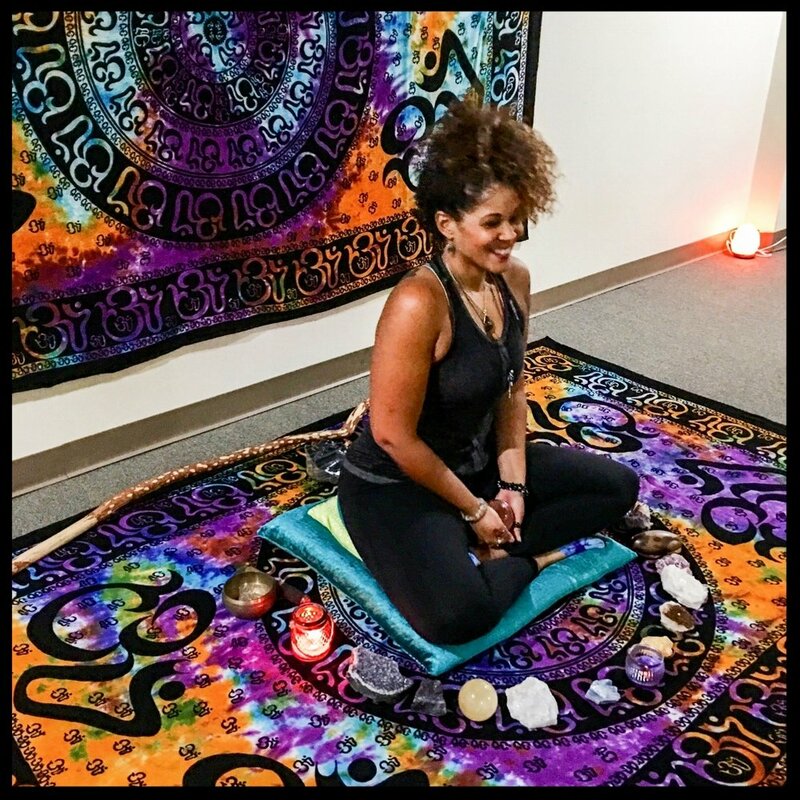 During this session, Selena uses her abilities as an intuitive to create a guided experience that assists guests with inner healing, spiritual awakening, focus, and self-mastery. The entire journey meditation is channeled specifically for the group in attendance and is different each week. Class size is limited. Advance Registration Only. Please sign up in advance to reserve your seat. It's true! Your thoughts create your reality! During this class, you will be guided into a positive mindset through the use of guided imagery and positive affirmations that help you re-program your mind, body and emotions to align with peace, balance, joy, abundance, and beyond. If you feel stuck, unhappy, or unclear about your path in life, this class is certainly for you. If you've been struggling with fear, pessimism, self-esteem, body image, relationship issues, financial woes, or any negative and self-sabotaging thought/emotion patterns, this class will transform that stinkin' thinkin' into a powerhouse of positivity that leaves you feeling ah-may-zing and on track to transforming your life and mind for good! Class size is limited. Advance Registration Only. Please sign up in advance to ensure your seat.